Diego Ortiz coordinates implementation of SPUR's Double Up Food Bucks project. He also helps advance other initiatives of our Food and Agriculture Program, including organizing public events related to food systems. 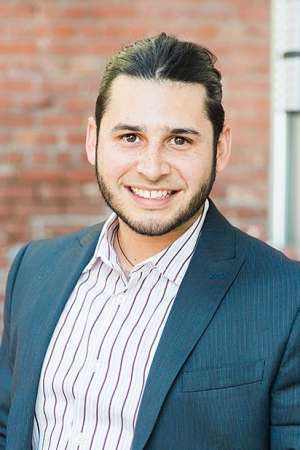 Diego has previously worked with a variety of food access/nutrition and agriculture related jobs including; Fresh Approach, Pacific Coast Farmer's Market Association, and University of California Cooperative Extension. He graduated with a B.S. in Global Studies with a focus on Environmental Policy from Sonoma State University. Diego’s most recent work with Fresh Approach and PCFMA was focused on food access advocacy, where he taught cooking and nutrition classes and promoted the use of CalFresh at farmer’s markets. He also has experience as an urban agriculture advisor, agricultural technician, and research assistant for University of California Cooperative Extension’s Department of Agriculture and Natural Resources. Previously, Diego did a variety of food and agriculture related jobs including assistant chef at a soup kitchen, native and culinary landscaping, and urban farming.